If you are like many other car owners, your automobile loan is one of the largest expenses in your budget. Reducing spending and cutting back on expenses is a common goal that many people share, and you may have your eye focused on reducing that large auto loan payment you make every month. Because this is a fixed expense in your budget, finding a way to lower that payment will result in savings you can enjoy every month going forward until the loan is paid in full. While refinancing car loans can save people money, there are some steps you can take to maximize the savings and keep the more of your hard-earned money in your pocket. When it comes to car loans, there are two key figures you may be concerned with. The monthly car payment is your regular financial obligation with regards to the loan. Many car owners who want to save money on their car loan consider reducing their monthly payment in order to save money. However, the other figure that is often overlooked is the total cost of the loan. This figure pertains to the cost of monthly payments, interest charges and fees that you will pay over the life of your auto loan. Some of the steps you can take to lower the monthly payment, such as extending the term length, may actually make the total cost of the loan increase. Because of this, you should identify if you are more interested in saving money on your monthly loan payments or reducing the total cost of the loan. The interest rate on your auto loan will directly affect your monthly auto loan payment as well as the total cost of your loan. Because of this, you should spend time shopping for the lowest interest rate available for auto refinance loans. Getting several quotes for interest rates can help you to identify savings that are available to you. Keep in mind that lower interest rates may be associated with a longer loan term length. Loan rates for cars are generally based on your own credit scores, the amount of the car loan and the loan term. The Internet provides you with many different financial tools. 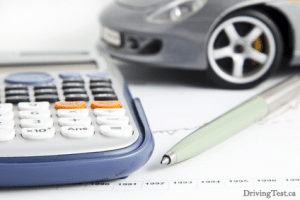 When it comes to refinancing car loans, you can use a loan calculator to determine your monthly auto loan payment as well as the total loan costs associated with a specific loan. Before you apply for a specific auto loan, you should use both of these calculators. Compare the new monthly payment against your current car loan payment to determine how much money you will save. Also, review the total loan costs of your new loan against the remaining loan costs associated with your existing loan. By analyzing these figures, you will be able to determine if refinancing your car loan today is a smart financial move. When using an online calculator, you can plug in different interest rates and loan terms to determine which option will save you the greatest amount of money. Refinancing car loans can be a smart financial move that may yield savings in your monthly expenses, your total auto loan costs or both. However, not every car loan option may provide you with savings. Consider these tips to find the best auto refinance loans that will yield maximum savings for you.